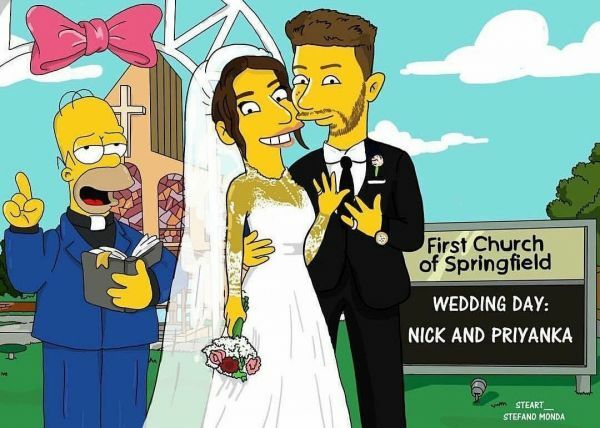 Simpsons-Style: You Can't Miss These Latest Pics Of Priyanka And Nick's Wedding! Priyanka Chopra has been the luckiest bride ever. Wondering what made us make that strong statement? Well, we have all the proof. She was the first ever bride to have worn a wedding ensemble designed by Ralph Lauren. Prior to her's, Ralph had only designed three wedding gowns in his life- that of his daughter, daughter-in-law, and niece. The ace designer designed PeeCee's gorgeous white gown for her Christian wedding that had the longest veil we've heard of or seen. Priyanka and Nick Jonas were the first ever couple to have their own dolls. Priyanka's doll is seen wearing a red saree and Nick is seen clad in a blue tuxedo. In case you thought that was too much already, we have more for you. 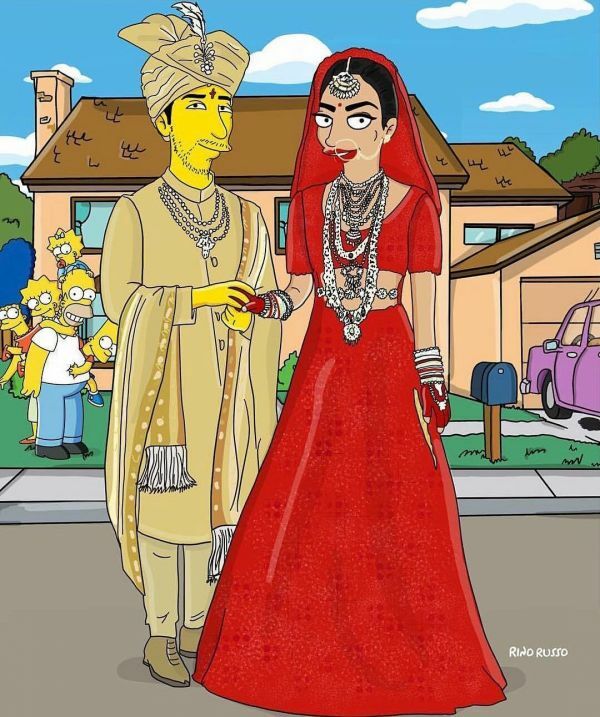 The couple now has their own Simpson cartoons. Yes, you heard that right! 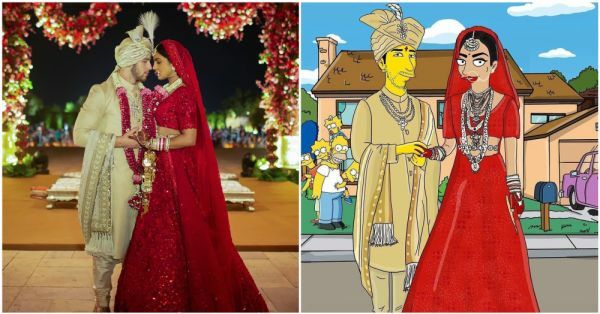 Priyanka took to her Instagram feed to share two pictures, both of their Simpson cartoons- one from their Christian wedding and the other from their Hindu traditional wedding. Don't miss Homer, the priest, officiating their ceremony. Their wedding photos recreated into the cult cartoon is pretty damn cool. Don't these look amazing? You probably didn't see that coming, did you? The couple tied the knot on December 1, 2018, in the palatial Umaid Bhawan in Jodhpur. Their wedding ceremonies saw the presence of close friends and family members. They threw three receptions in all. Two were in Mumbai, amongst which one was for the media peeps and the other was for the entire Bollywood fraternity. All of Tinsel town graced the evening to celebrate with the couple. The looked so adorably in love at all their wedding bashes and well, their speeches for each other left us teary-eyed. 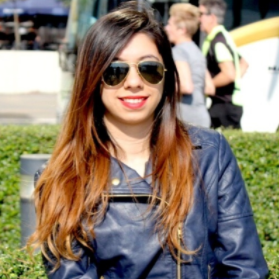 The newlyweds are having a ball with friends in England and we can't wait to see their honeymoon pictures from Switzerland. Aren't you excited too? Stay tuned for more.